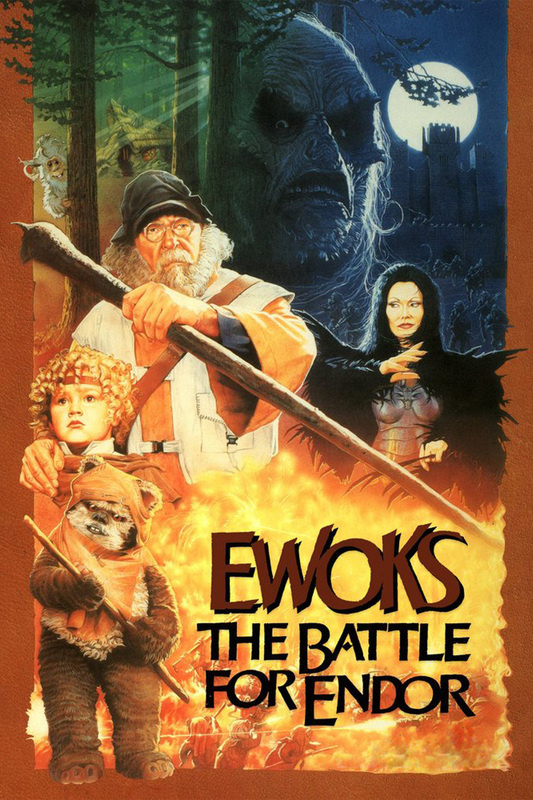 To continue my challenge, I present you with my review of Ewoks: The Battle for Endor (1985), this movie was one of my favorites growing up and I have very fond memories of it. Brief Synopsis – The continuing adventures of Cindel as she tries to save the planet Endor with help from her Ewok friends and an old hermit named Noa. My Take on it – I remember when this came out and how excited I was to watch it. For an 11 year old hooked on all things Star Wars, this was a dream come true…a continuation of part of the Return of the Jedi (1983) storyline. This movie was made 6 years before Timothy Zahn rejuvenated the Star Wars universe with great books and 14 years before Episode 1 made it to the screen, so for someone hard -up for Star Wars stuff, this was great. Unfortunately, looking back, this movie is really, really bad. The story is pretty silly and it’s hard to like any of the characters because they are all so very annoying, especially Wilford Brimley as the hermit named Noa who seems funny acting with a kid, Ewoks and a “rat-like” creature. The special effects here are better than in Caravan of Courage – An Ewok Adventure (1984), but unfortunately that doesn’t help the fact that the story isn’t good at all. Bottom Line – Slightly better than it’s predecessor, but still not a very captivating or interesting movie. Average at best. Overall, I’m very glad I re-watched this but I think that in this case my younger self and me disagree here. My younger self felt that this was a worthy addition to the Star Wars universe canon and that this is a very fun and enjoyable movie. I, on the other hand, see the advances made in special effects since its predecessor, but the story and characters are still also somewhat boring and even annoying in some instances.